When I think of brand architecture it really gets to the essence of the brand. There are three components to it in the way we framed it up. They are the promise, the essence, and the purpose. We identified an insight out there that guys want to turn good times with friends into great times with brothers. More accurately, legendary experiences with brothers. That was the cultural insight that really framed our brand architecture. When we think about our purpose we defined our promise as the great American sports bar that turned game time into stories worth telling. It wasn’t just about inviting folks to watch a game. It was about translating that into an experience worth telling. That’s what folks are really looking for. That’s the promise that we deliver on every single day. That’s why we get up. That’s why folks are going out there and doing the job that they do and delivering a great experience. Our purpose ultimately is really about inspiring legendary experiences between friends. 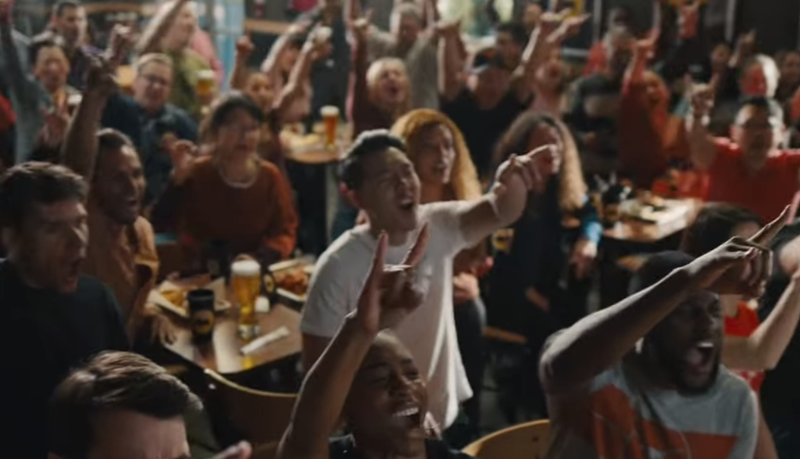 The essence of the brand is around this idea of camaraderie and ritual and something that we like to call “game on.” It’s our ability to make sure that when folks come in to experience Buffalo Wild Wings that we have a game on mentality and that we bring them the very best of who we are. We have 80,000 folks out there working across Buffalo Wild Wings and they bring it every single day. It’s Game Time at Buffalo Wild Wings! As we were talking to consumers, one of the things we learned was that some of the most impactful experiences that they talked about was with the bartenders and servers. They are influencing whether or not those folks come back. For instance, one of the most memorable experiences they talked about was the bartender remembering them when they came back. That is our brand architecture, but it also lends itself to things we have done in rolling out this purpose to the broader community through our Brand Champ Initiative. That really is a cultural movement that we are employing across our franchises and corporate stores. We have over 1,200 locations where folks are trained to make sure that the brand architecture is translating to a way that is meaningful to the consumers and also meaningful to the folks that are on the front lines every single day.